This past Monday saw Israel and Turkey finally reach an agreement to restore diplomatic ties, six years after the deaths of ten Turkish activists during a storming of the Mavi Marmara vessel. While Turkey withdrew demands for an end to the Gaza blockade, Israel has agreed to allow a flow of Turkish aid and establishment of infrastructure projects to in Gaza. Notable was Turkey’s refusal to meet Israel’s demands to shut down Hamas’s office in Ankara. While this represents a serious breakthrough between two former allies, it is likely that underlying tensions will remain between the two regional powers. Last week’s attack on a Jordanian military checkpoint which killed seven Jordanian soldiers has been claimed by the Islamic State. The attack took place in a buffer zone opposite a Syrian refugee camp. Also significant was the proximity to the American-Jordanian al-Rukban military facility, in which ISIS claimed to target. While Jordan pledged to respond “with an iron fist”, it immediately sealed off its border with Syria, stranding 70,000 refugees, cutting them off from much needed aid. UN, Red Cross, and Red Crescent aid convoys reached two besieged areas outside of Damascus, signifying that humanitarian agencies have reached all blockaded areas this year. Aid included kits and medicine. Progress in aid dispersion throughout Syria represents a positive development in a country that does not see much of them. However, as fighting has ebbed and flowed in Syria’s civil war, these aid convoys will face difficulties if or when fighting picks up. Early this week marked significant diplomatic breakthroughs for the Erdogan government as it finalized rapprochements with Israel and Russia, perhaps opening the door to military and economic cooperation between the powers. Yet as Turkey enhanced its geopolitical position, a massive bombing attack against Ataturk International Airport in Istanbul on Tuesday resulted in the deaths of 43 people. While no claim to the attack has yet to be made, Turkish officials have pointed the finger at the Islamic State. As this bombing represents the sixth terrorist attack inside both Istanbul and Ankara, President Erdogan stated that this was a “fight against terrorism”. But as Turkey has engaged the Kurdish terrorist group, the PKK (Kurdistan Workers Party), in a major counter-insurgency campaign earlier this year in Southeastern Turkey, it remains to be seen how it will strike at the Islamic State as this group houses itself outside of Turkey’s borders. Kuwait’s emir, Shaikh Sabah Al Ahmad Al Jaber Al Sabah, has voiced his displeasure at social media behavior. He stressed national unity over what he called a “desecration of morals” and hateful rhetoric stemming from what he sees as stoking sectarian attitudes. While his comments fall during the Ramadan months, they also occur against a backdrop of Shia-Sunni tensions that have inflamed the Gulf region for several years. After last year’s stampede that killed 769 pilgrims during Hajj, Saudi Arabia has introduced e-bracelets for safety. The bracelets are part of an effort to enhance safety and to monitor pilgrim movement. They will contain both personal and medical information that will help authorities provide care, as well as identify people. Approximately a thousand new surveillance cameras have also been installed at Mecca’s Grand Mosque as part of Saudi Arabia’s new security efforts. Three suicide attacks took place in the Kingdom over the course of the weekend in the cities of Jeddah, Qatif and Medina. While no casualties resulted from the first two attacks, the attack just outside of the Prophet’s Mosque in Medina killed at least four individuals, reported to be complex guards. While no one has yet claimed responsibility for the attacks, suspicion from the Twittersphere and beyond has fallen on the so-called Islamic State. According to Iran’s Oil Ministry, Iran has sold a million barrels of crude to Spain’s energy major Repsol. Since the lifting of sanctions Iranian oil exports to Europe have increased from approximately 100,000 barrels per day (bpd) to 600,000 bpd. It is expected to rise further to 700,000 bpd. Iran’s oil exports are now close to pre-sanction levels. Iran was until recently struggling to find partners to ship its oil. After an agreement on a temporary insurance fix, more than a third of the country’s crude shipments are now being handled by foreign vessels. 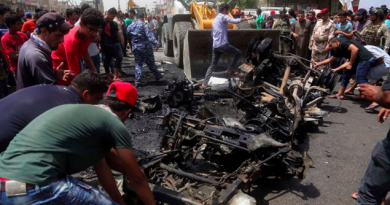 A suicide bombing that took place in Baghdad this past week is reported to be one of the “deadliest in years” to occur in the Iraqi capital, having killed more than 215 in the Karrada shopping district. The attack was claimed by the so-called Islamic State. Fallujah, Iraq was the birthplace of ISIL’s movement and the first urban center it seized in its quest to occupy Iraqi territory. It was also the terrorist organization’s command and control center. However, as Iraqi forces began to defeat the extremist group in Fallujah, its leadership crumbled and dozens fled, leaving behind vastly outnumbered Fallujah natives. Iraq has secured a $2.7 billion loan, which carries a 6.45 percent interest rate, from the United States to fund ammunition and other military equipment to use in the war against ISIL. It will also help maintain navy ships and systems to protect the Umm Qasr port and southern oil platforms. It will have eight and a half years, including a one year grace period to repay the loan. It appears that the chaos in neighboring Libya is poised to spill over into Algeria. This week Algerian security sources reported that they had foiled a plot to attack a shopping mall in the eastern city of Setif. The cell planning the attacks had links to ISIS cells quartered in Libya. As Tunisia has often been the focus of US and European efforts in securing their borders from ISIS infiltration, Algeria may face the same threat as the terror group strengthens its presence in Libya. Thursday June 30 marked the three year anniversary of President Muhammed Morsi’s ouster, and the subsequent rise of now-President Fatah Abdel al-Sisi. While the military held a series of celebratory parades, terrorist attacks in Sinai and along the Libyan border targeted security forces as well the murder of a Christian priest. In addition to the violence on the western frontier and in Sinai, a suspected militant stabbed a police colonel to death in the city of Port Said. As President al-Sisi has staked his reputation on security matters, his country faces multiple threats from terrorism as well as unrest from those in Egypt who are increasingly unhappy with the growing authoritarianism that has come to symbolize al-Sisi’s regime. Morocco was awarded as the best international tourist destination by Spanish La Razon Awards for “…efforts and progress made by the Kingdom to develop its beautiful and attractive geographic landscape and cultural and historic heritage.” Official figures over the 2010-2015 period estimate $11 billion in tourism revenue. The sector is responsible for the employment of 570,000 direct jobs, accounting for 5 per cent of national employment rate. A Tunisian man and his girlfriend were flown home for trial on Saturday after his arrest in Turkey for joining ISIL. They were taken to the investigation unit for terrorist crimes at the National Guard and will be charged with joining a terrorist organization and involvement in terrorist crimes. 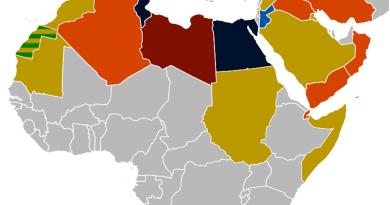 Western intelligence agencies believe that Tunisia is facing an escalating problem regarding its citizens joining ISIL. It is widely believed that a significant portion of foreign fighters are now Tunisian and that the town of Kasserine serves as a pipeline for recruits. Its location makes it an ideal meeting point for jihadis from Tunisia and Algeria and the Chaambi Mountains provides cover for terrorist training camps. ISIL loses more grounds in Libya’s Sirte. After losing Sirte’s neighborhoods between 100 and 700 members of the terrorist organization are now entrenched in the Ouagadougou Conference Hall, Ibn Sina Hospital and Sirte University where fierce fighting rages around them. Al-Bunyan Al-Marsoos forces, a coalition of pro and anti government brigades from Misrata and other western cities, launched an offensive on the remnants of ISIS militants in the two neighborhoods in the early morning hours of Friday and successfully forced them out.